Mountain flight (optional). 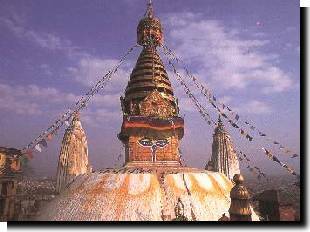 Whole day sightseeing tour in Kathmandu Old City Square, Swayambhunath Stupa, Patan Old City, Tibetan Refugee Camp with lunch en route. Dinner and overnight. Drive to Daman (approx. 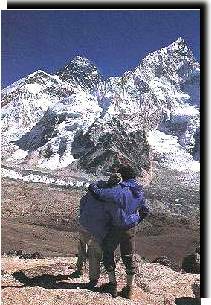 4 hours) for the most spectacular views of the Himalayan ranges. Dinner and overnight at the Panorama Resort. Drive from Daman to Pokhara (approx. 6 hours). Dinner and overnight at Hotel Bluebird. Whole day sightseeing tour of Pokhara and boating on the Phewa Lake. Transfer to airport for your return flight to Kathmandu in the evening. Upon arrival, transfer to Hotel Shanker for dinner and overnight. Early morning excursion trip to Dakshinkali, one of the holiest Hindu temples. Return to Kathmandu, En route stop at Hattiban Resort for lunch. Drive onwards to Nagarkot. Dinner and overnight at The Fort. Early morning sunrise view of the Himalayan Ranges. Return to Kathmandu. Rest of the day at leisure. Dinner and overnight at Hotel Shanker. Free until departure. Transfer to TIA airport for your return flight.